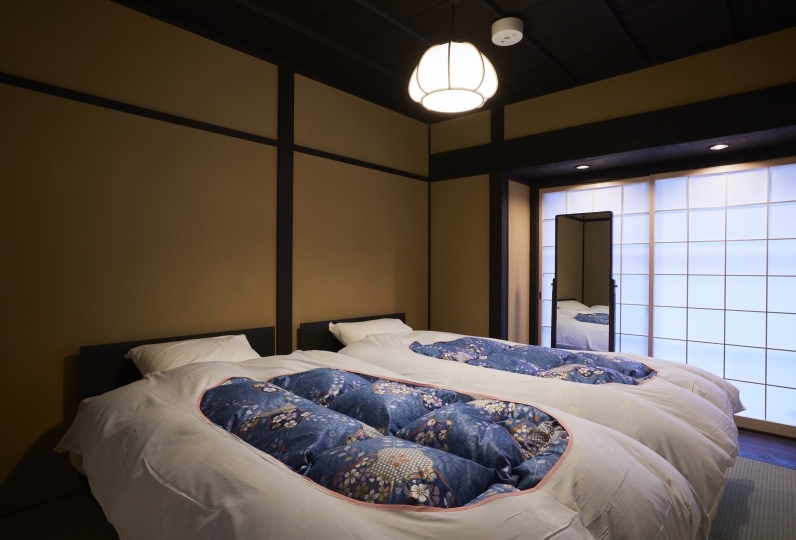 A lodging where you can come face to face with the real Japan. 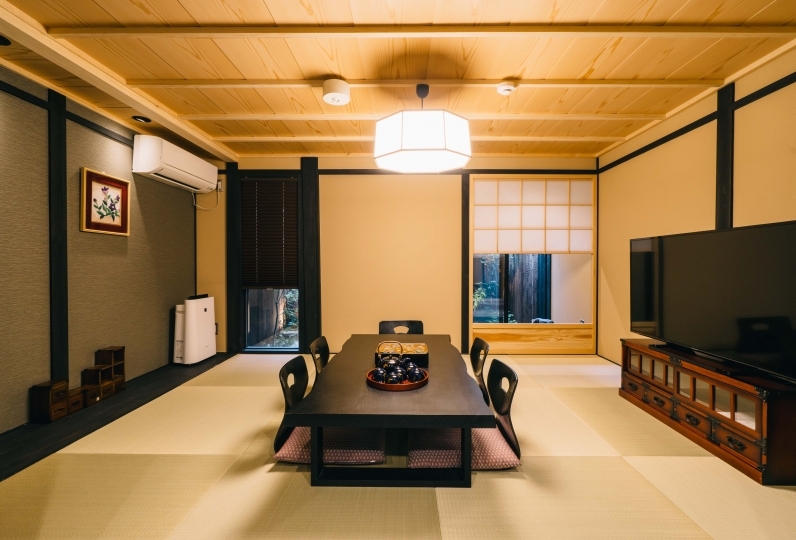 Why not experience life in a Kyoto townhouse? 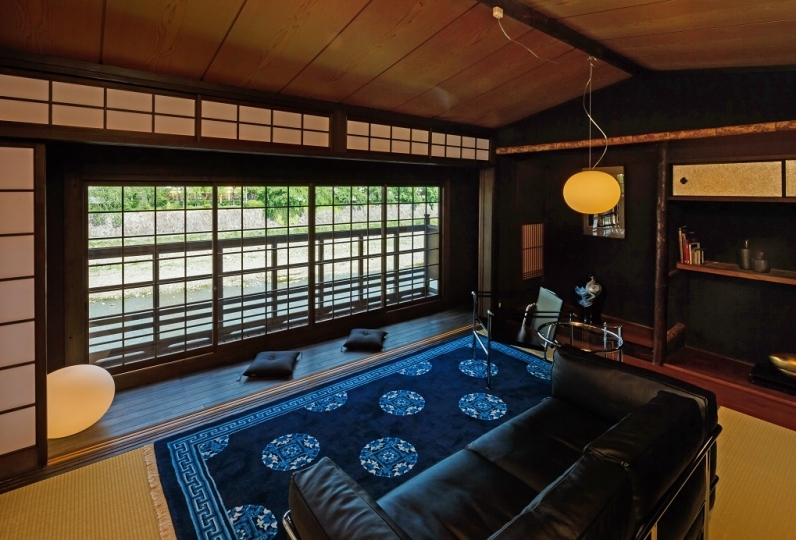 Enjoy a luxurious and relaxing space overlooking 2 gardens and surrounded by the skills of artisans. Butsuguya-cho that lies between Nishi Honganji and Higashi Honganji. 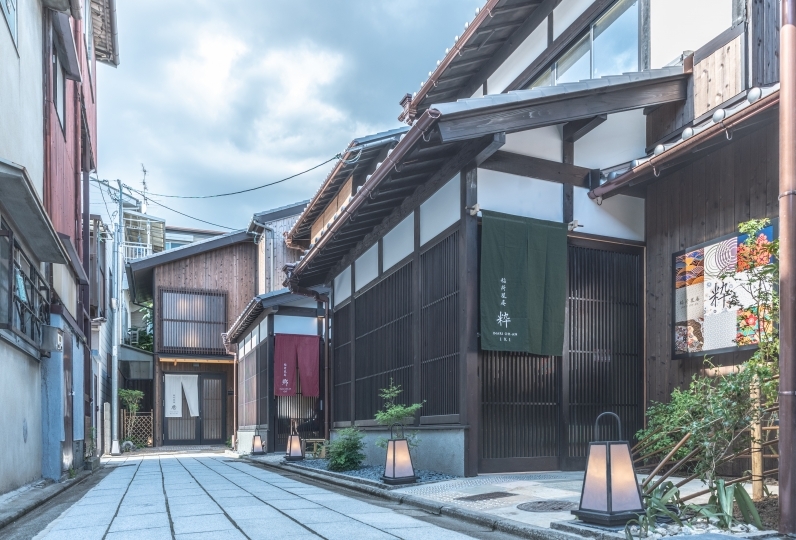 In this area where the streets are lined with old-style wooden structures housing shops selling Buddhist articles, you can immerse yourself in a retro atmosphere. The scent of the incense that hangs in the air is sure to make you feel at peace. 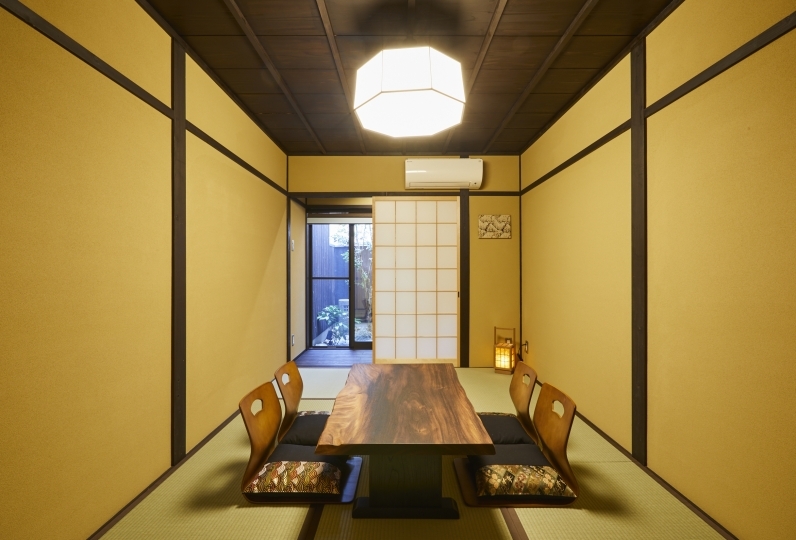 This lodging is a 78-year-old townhouse that has been renovated. 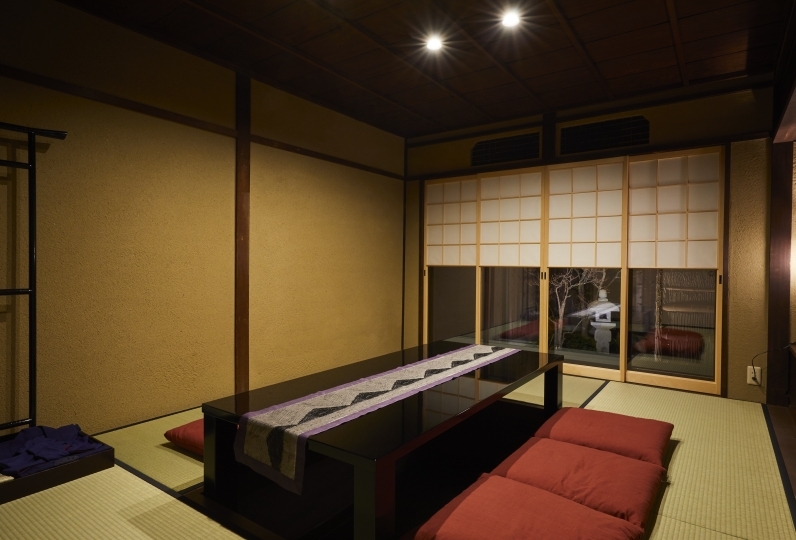 Enjoy a relaxing time surrounded by the softness of natural material. 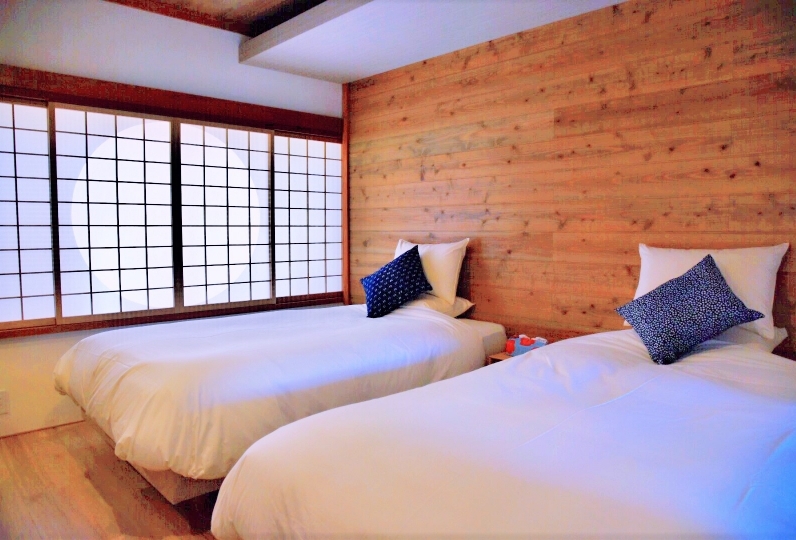 As it is a lodging with a limit of 1 group of guests per night, early reservation is advised. 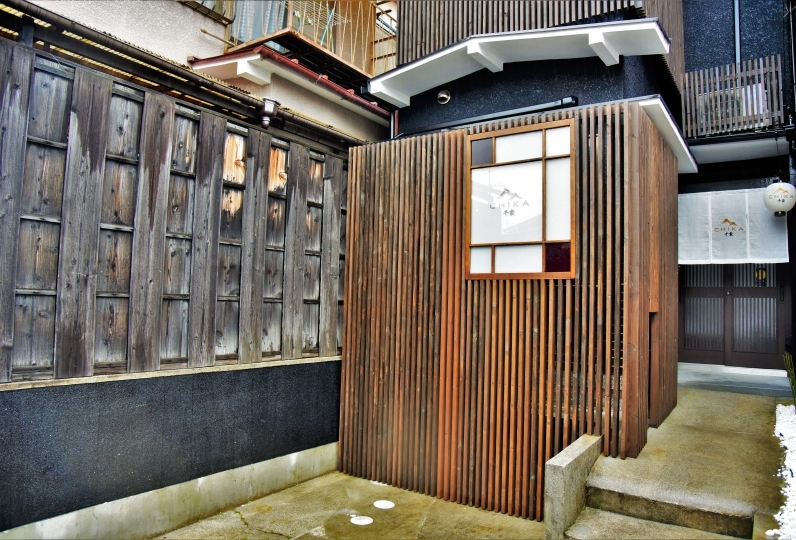 A Kyoto townhouse where you can truly experience Kyoto. 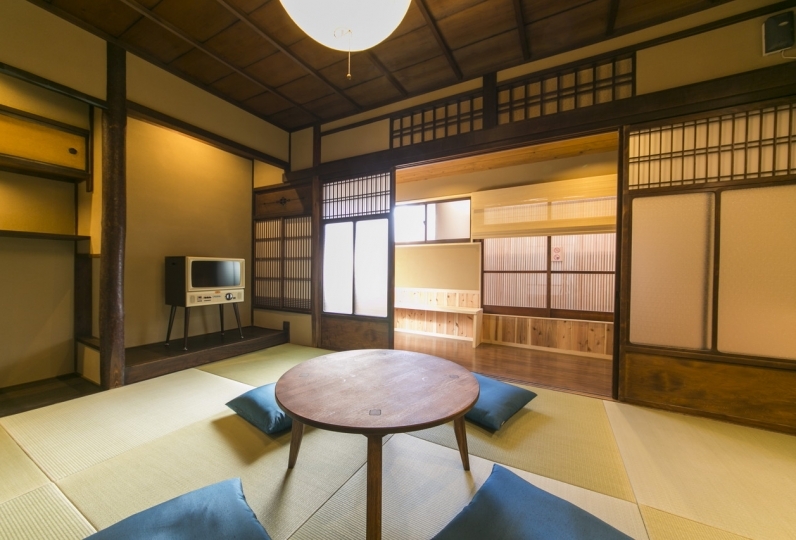 Enjoy a stay that is unique to a Kyoto townhouse. 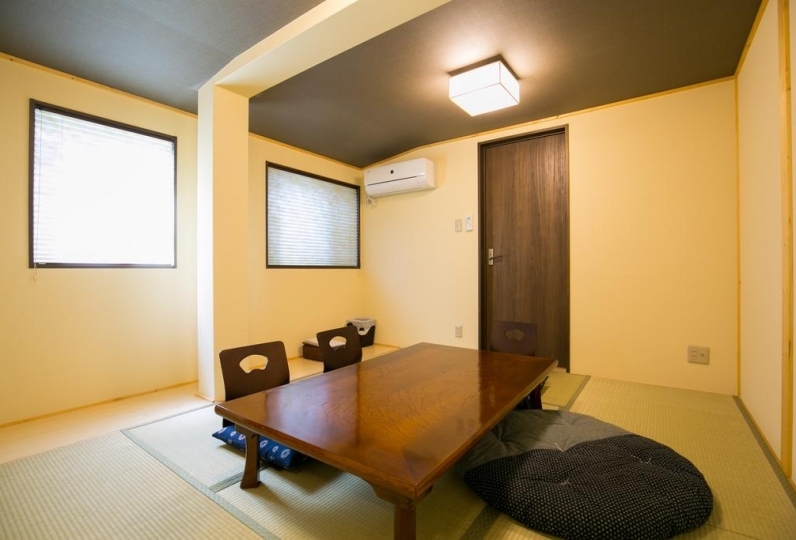 The accommodation is equipped with microwave, fridge, kettle, as well as a selection of amenities. A concierge will bring you to the lodging after check-in. Please feel free to ask the concierge any questions during the journey. 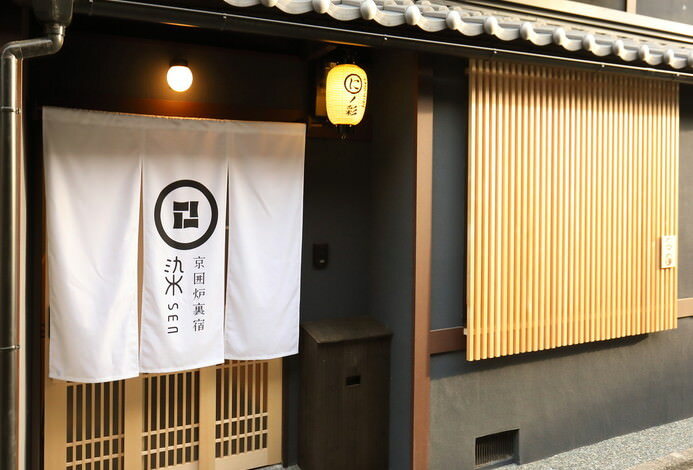 Guests are asked to check-in at the reception office located near Kyoto Station, where the keys for the lodging will also be given. The address for the reception will be sent in a confirmation email. Please make sure to check it carefully. Please note that the location for check-in is not the same as the lodging. Please make your way to the reception and not the lodging. 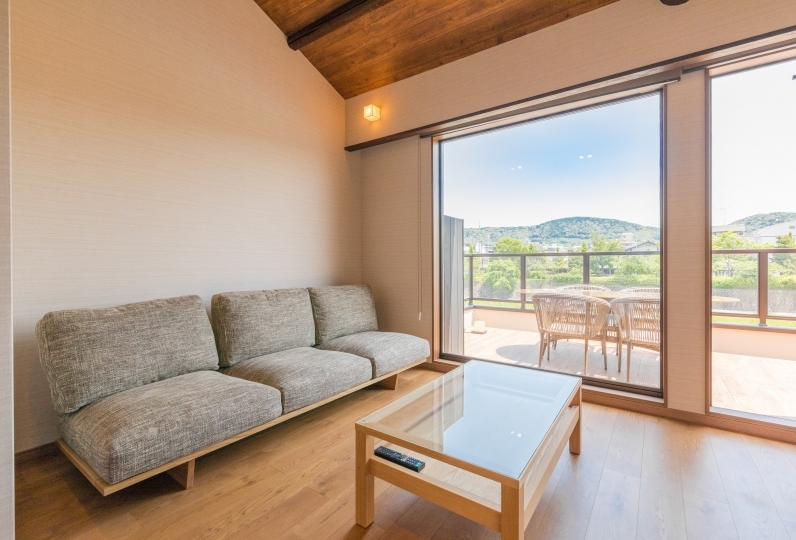 *From October 1, 2018, Kyoto accommodation tax will be charged separately.